FAQ 1: Please what is the process to be Kedi health distributors that own a service center? 5. The Applicant must guarantee to organize at least one seminar every week. 6. The Applicant must present a guarantee letter of support and help from his or her sponsor. 7. Deposit of Five Hundred and Fifty Thousand Naira Only (N550,000.00) into the company’s bank account, while company gives an equivalent value of products as the service Centre stock. 8. Your service centre must submit 2000BV every month to qualify for the 5% shop bonus. 9. Also note that Kedi will not open any new service Centre close to already running one. The distance apart is 2000 meter. 1. 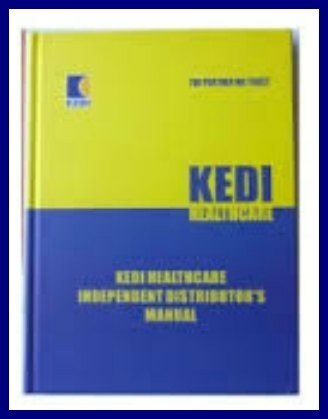 Kedi health distributors that are interested in owning a service centre should submit their application letter and a guarantee letter from their sponsor to the company marketing manager and their current printout indicating his/her distributor’s status. Then allow the company one week to study the application and go back for the update. 2. The health products distributors will indicate where the service centre will be located and the areas he/she want to serve. 3. The marketing manager will test the training capability and knowledge of the health distributors applying regarding Kedi products and marketing plan and conduct survey of the service Centre location. 4. After approval by the marketing manager, company manager will sign for the final approval. The original document will be filed while the applicant keeps the photocopy. 5. You deposit the actual amount of money into the company bank referred. 6. The supplement distributors will bring the approved application copy, one passport photo, a copy of international passport, business or company identity card and bank deposit slip for signing. 7. The new service Centre is mandated to pay for order and application forms for their use. FAQ 2: How do Kedi health distributors replace a lost ID card? Answer: For card replacement, the health products distributors has to present the original pink copy for the application form with N1,000 payment. Whereby she can’t find her pink copy, then a valid identity card bearing the same name can be considered with #1000. Failure to provide any of the options above will require the police report and court affidavit. FAQ 3: How to become supplement distributors in kedihealth business? Answer: To become a kedi distributor, you need to pay only the sum of 4000 Naira and you will get the company's educative manual, ID card, and souvenirs. You must have a sponsor, someone who will guide you to succeed in the business. You will purchase a product worth 250PV and gradually you build downlines which you can now start earning direct bonus between 5% to 45% amongst other bonuses and incentives as the case maybe. All distributors have two major jobs: (1) To sell the company's products (2) To recruit people and guide them to succeed. Some of the incentives to enjoy in Kedi Healthcare are Brand new cars, International travels, Villa etc. FAQ: Which of the kedi healthcare products can be used for male infection? FAQ1: What kedi herbal products can be used if husband and wife are unable to produce a child? Answer: Inability to conceive can be caused by various problems, ranging from fibroid, low sperm count, infections, and hormonal imbalance to lot more. So please ensure you do medical check up to know the underline cause before we can give you professional advice. FAQ: What are the kedi products for stroke? Answer: The herbal medicines for stroke treatment are Golden Six and Cordy Royal Jelly. FAQ: Is revive drug for everyday treatment? Answer: It is best used 2 capsules twice weekly. But the primary function is to aid erection, so it's advised you use it whenever is needed.